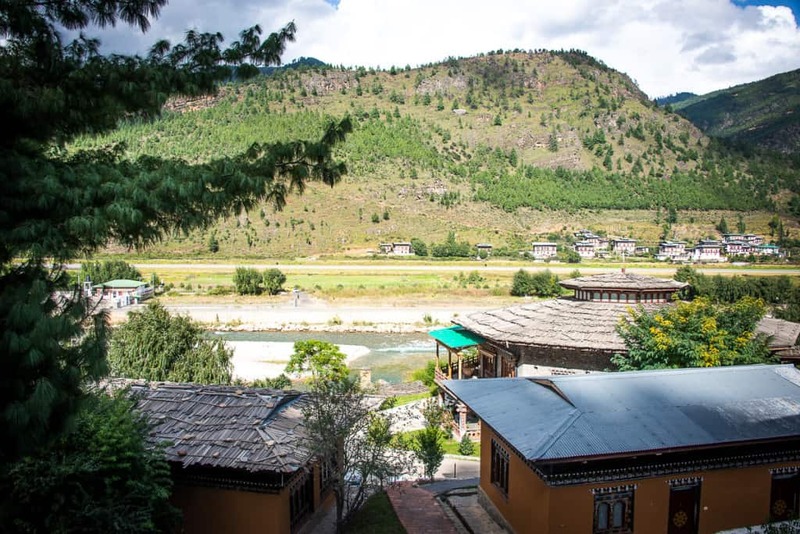 We had one of the best places to stay in Paro, Bhutan. 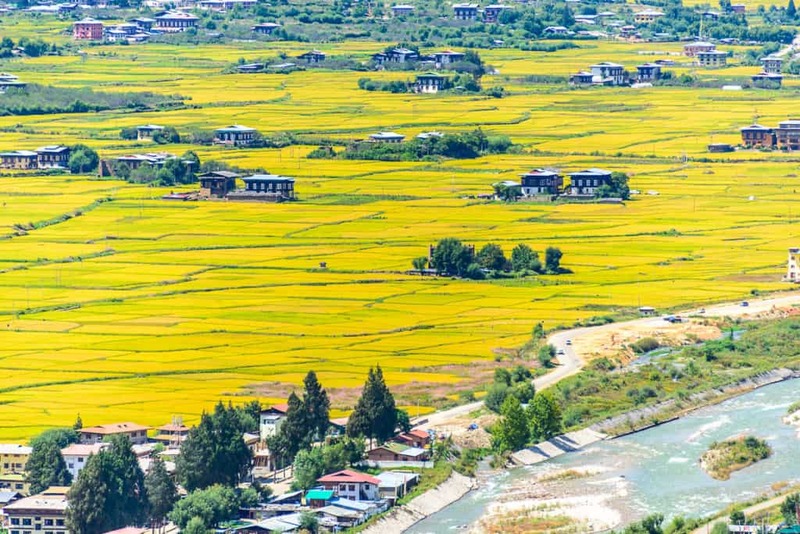 Tashi Namgay Resort is located on the banks of Paro Chhu and overlooking the Paro airport. The views of landings and take offs is another sight not to be missed from the resort from one of the most challenging airports in the world. 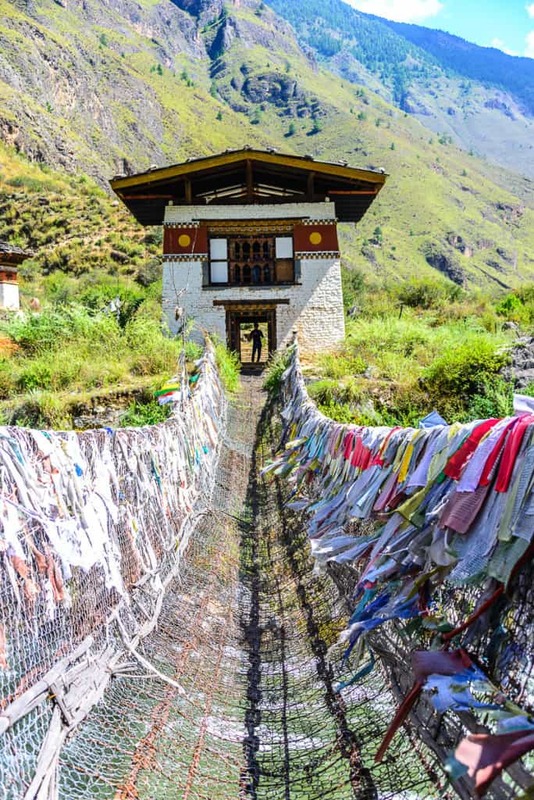 We had planned a day for all sightseeing and shopping in Paro and another one for the Tiger Nest hike. 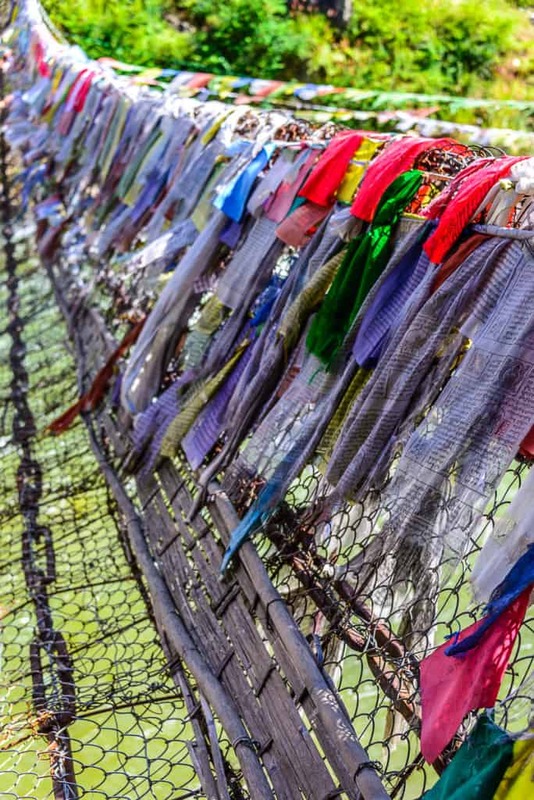 On the way to Paro, just about midway from Thimphu, we stopped by the Chain Bridge, a very old bridge made with chains crossing the Paro Chhu river leading to a temple. You have to walk slowing on the swaying bridge while it was pretty safe and Bhavye enjoyed a few round trips! Our first stop in Paro sight seeing was the National Museum. 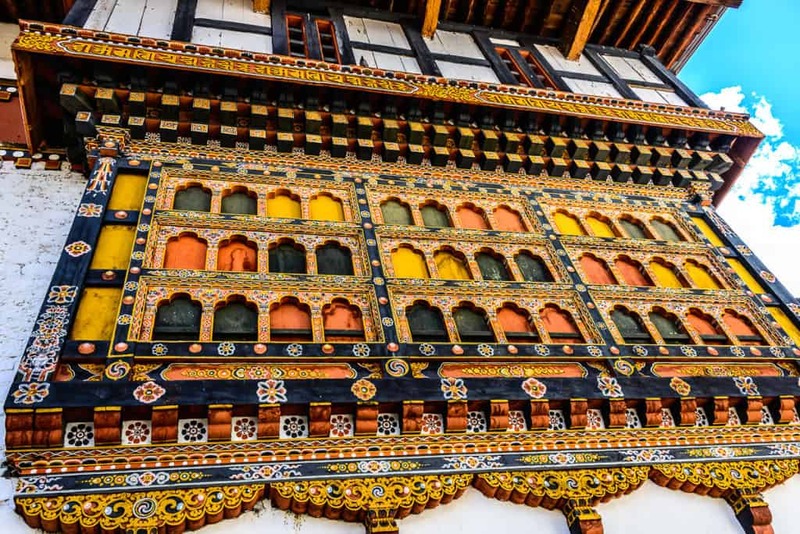 The museum used to be a clock tower just above the Paro Dzong and houses the ancient history, Bhutanese dresses, paintings or Thangkas, the festive masks worn by the participants and also explains a lot of geography & vegetation of Bhutan, an interesting place to take kids. We spent about an hour in the museum and then went downhill to Paro Dzong. 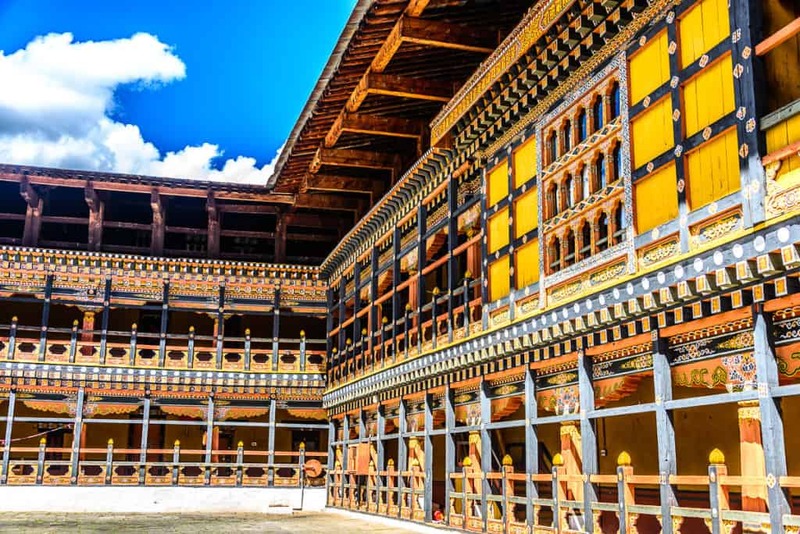 Paro Dzong is one of the most visited and famous in Bhutan. 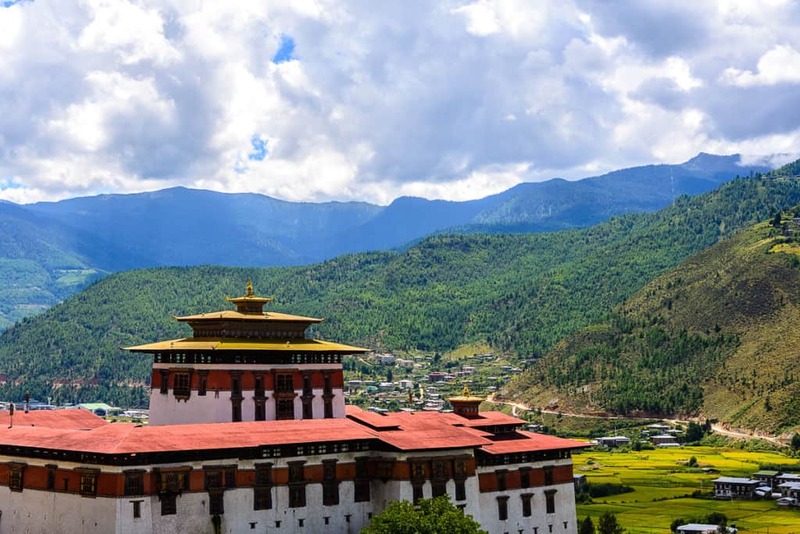 It houses the administrative offices and monastery and is an impressive piece of architecture on the Paro Chhu river. You can get some photo ops with various monks who stay here, again we spent about an hour at the Dzong. It was getting to about lunch time and there are quite a number of small cafe’s in Paro city. 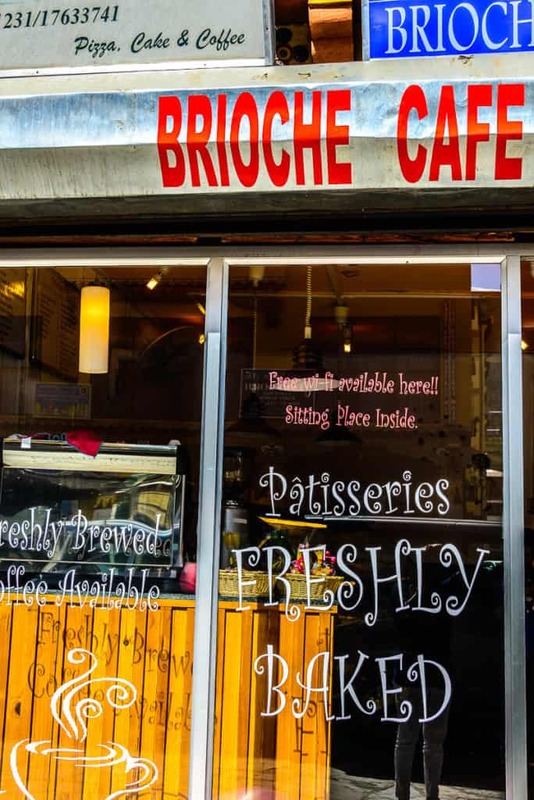 Wherever you eat, definitely keep some space for the desserts at Brioche Cafe. The brownie cheesecake was spectacular and so was walnut pie! I also recommend keeping some time aside to shop in the Paro market. I bought a Thangkha painting and a turquoise stone studded jug while you can buy many impressive stuff here. Be sure to bargain a bit with the shopkeepers. 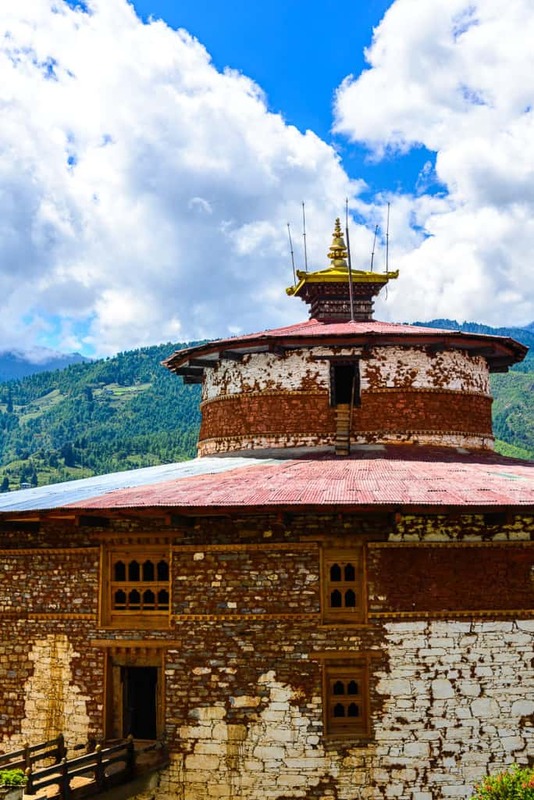 Our next stop was slightly away from Paro to Drugyl Dzong. It was destroyed by fire few decades back but the view of absolutely gorgeous. 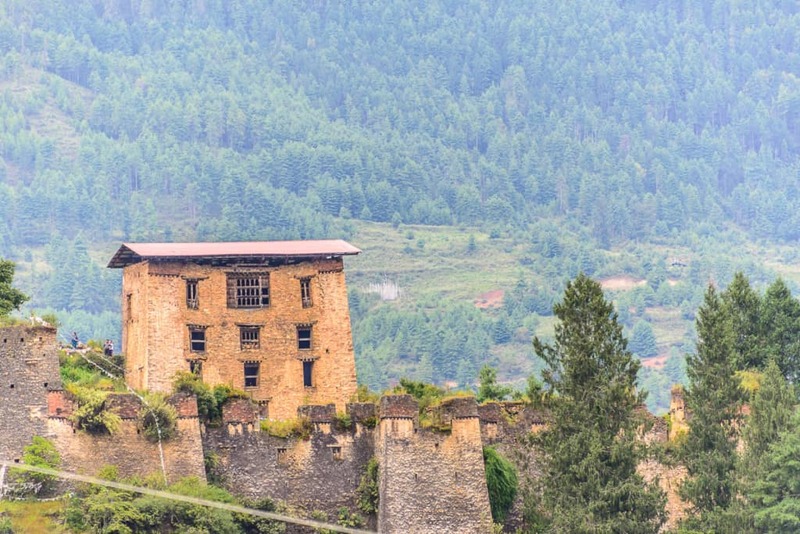 The Dzong although ruined looked majestic in all senses. 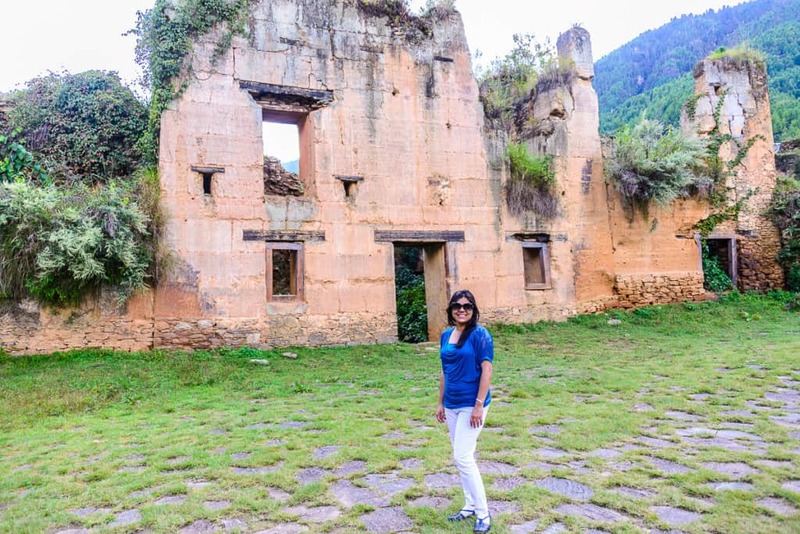 The drive in Paro isn’t too difficult as it is mostly a valley. We finally got back to the resort and unwinded our day near the river. 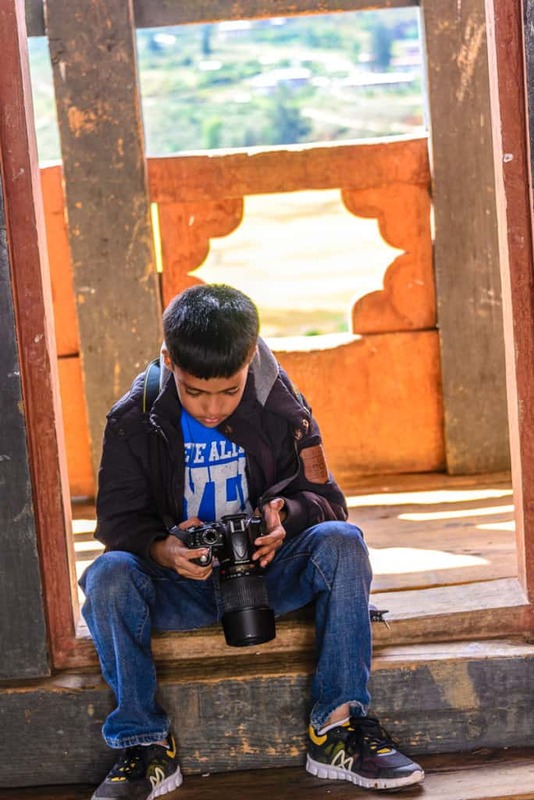 The next morning was something that Mohit & Bhavye were most waiting for. 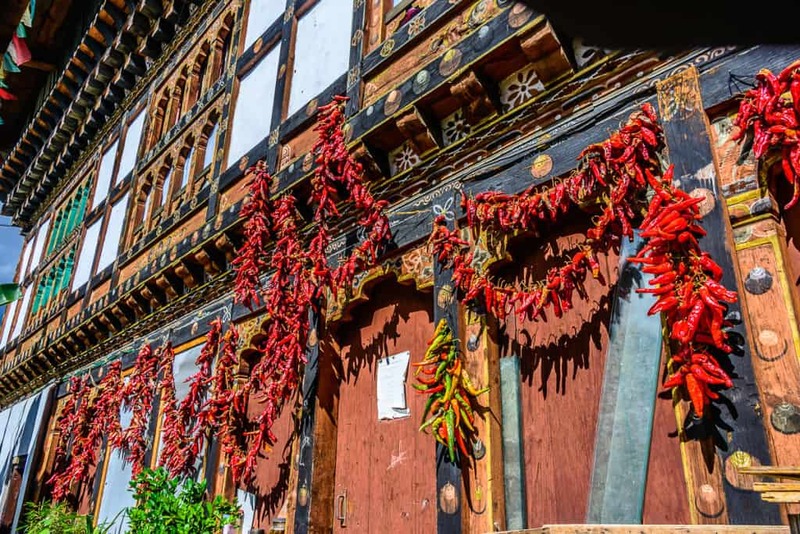 While I chickened out of one of the most demanding hikes for regulars in Paro, both the guys went out early in the morning, just after breakfast. The Tiger Nest trek is pretty uphill walk and measures about 16 kms for return trip in addition to hundreds of stairs. 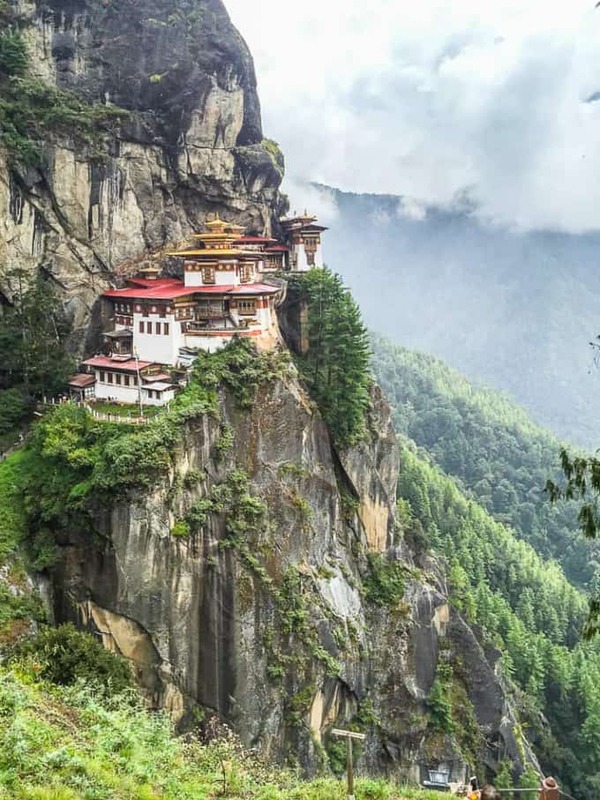 The Tiger Nest Monastery is perched precariously over a mountain top about 10,000 ft above sea level and looks absolutely stunning. As the legend goes Guru Rinpoche flew to this site over a tigress (hence the name) and meditated here. 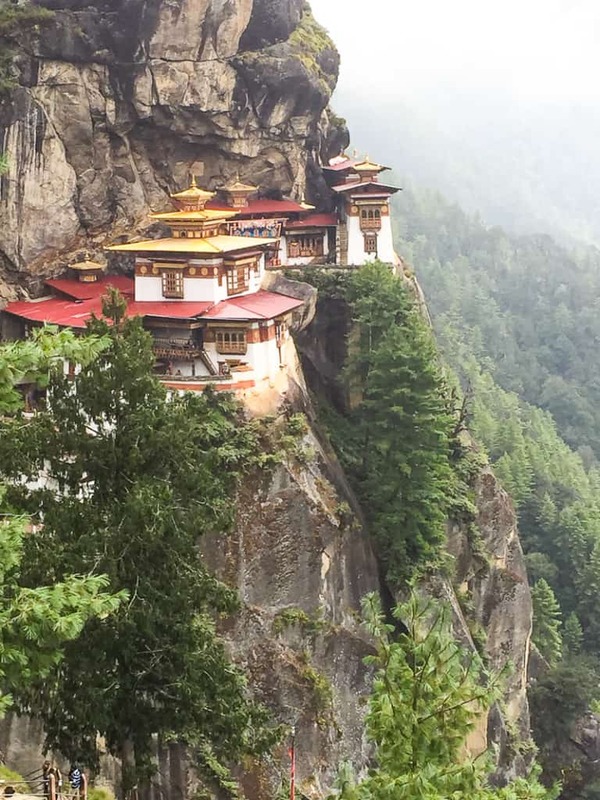 This howsoever difficult is a must visit place on a trip to Bhutan. There are options to take a horse ride on the way up, the guys walked all the way through and I was pretty impressed with the kiddo doing it. 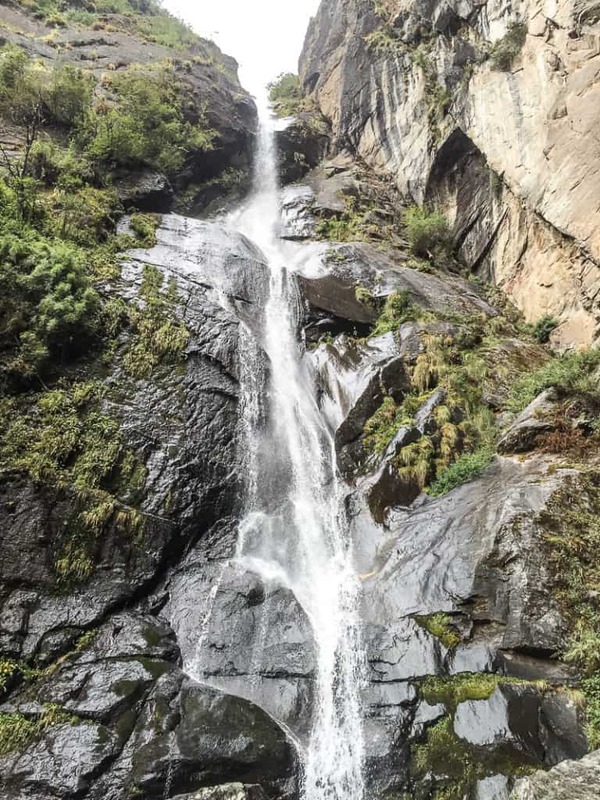 There is a restaurant mid way up, while I strongly suggest taking some water and energy snacks for the trek. You should also rent a hiking stick which is available at the base as it helps through the hike. Also remember to wear comfortable walking shoes. Overall it took about 5 hours of trek both ways along with visiting and spending time at the monastery. The views of the monastery from the trek motivates you to complete the trek and its an awesome place to get some clicks. The resort recommended a spa for the trek, which Mohit took gladly! Our 10 days trip to Bhutan was over with this day and we took an early morning flight the next day back to India. 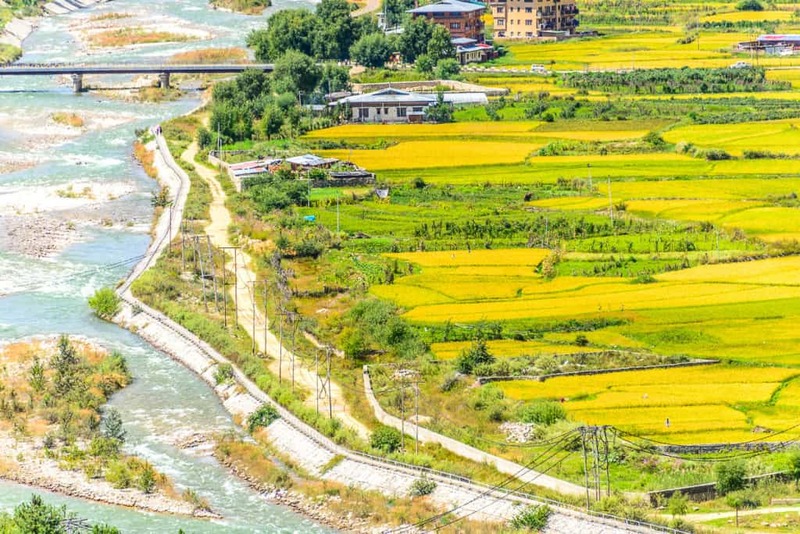 Hai Neha ,Thanks for share Bhutan photos.Your photos helped me to understand more about Bhutan.Excellent photos.